Campaign managers have a critical, client facing role. They are the first point of post-sales contact for InMobi’s biggest brand and performance clients. Campaign managers work with complex ad campaigns, managing and optimizing these campaigns using clear analysis to deliver results. Campaign managers are analytical and proactive – communicating data and insights clearly to clients. Campaign managers manage client relationships, but also bring to the table comfort with analysis and numbers. • Work with sales teams to understand client expectations. • Day to day management of mobile display campaigns. • Meet and exceeding campaign goals through campaign strategy and optimization. • Work with data to arrive at insights and strategies about campaigns. • Assist in the development of custom creative with internal departments and clients. • Management of client expectations, communication and reporting metrics. • Help the product management team in designing better products by communicating market realities and expectations. • Work with publishing team to secure inventories required for meeting the client objectives. • Exceptional relationship management and communications. • Teamwork and interpersonal skills. • 2-4 years of ad exec, online media, or other advertising experience and knowledge of online ad serving (Mobile advertising experience a strong plus). 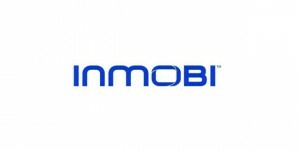 The InMobi Global Sales Team is responsible for the company’s advertising sales and monetization of InMobi’s global mobile advertising network. As a Sales Support Manager, you will work closely with the sales team and help develop sales collaterals, pitches, proposals, media plans. You will liaise between the sales team, internal cross functional teams as well as external vendors in conceptualization, program management and implementation of advertising campaigns. You will also be responsible for development of case studies that showcase innovative mobile advertising campaigns which have resulted in excellent results for clients. In this wide ranging role, you will have deep exposure to all facets of the mobile advertising business, and as a result become a hub of information possessing multiple skills inclusive of content ideation, creative services, program management, account management, sales processes and product marketing etc. • Effectively drive the implementation of concepts and client briefs with internal teams. 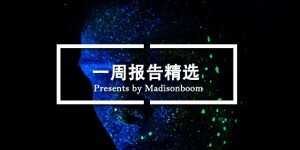 • Develop smart, research-based case studies to drive awareness of mobile advertising within the agency and advertising community in China, and also enhance InMobi’s reputation with clients. • Orchestrate the cross-functional support required to ensure that ad campaigns match up to client needs. • Acquire and share deep knowledge of the mobile ecosystem, its competitive set and the key business issues that affect the clients as well as the digital advertising industry. • High-energy and passionate self-starter with strong analytical skills who’s extremely comfortable in fast-paced, high-growth start-up environment.